We all enjoy the feeling of sunshine on our bodies, but did you know that over time, sun exposure can leave your skin with unwanted brown pigmentation? At Professional Aesthetics and Wellness (PAWC), we can help reverse those physical signs of sun damage and aging, using IPL PhotoFacials. 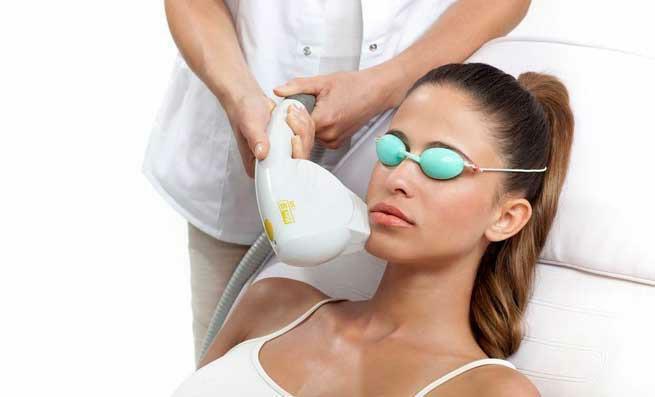 An Intense Pulsed Light (IPL) PhotoRejuvenation is like a boost of energy for sun damaged or aging skin. This popular treatment is used to penetrate your skin to produce new collagen, creating a healthier and more youthful appearance. It helps promote a more vibrant look by erasing age spots, sun damage, irregular pigmentation and rosacea (redness) through the use of Photo Rejuvenation and PhotoFacials at Professional Aesthetics and Wellness Center. As we get older, sun damage appears as blotchy or irregular pigmentation on multiple areas of our bodies, including face, chest, shoulders arms and hands. PhotoRejuvenation seeks out specific brown and red pigments below the surface skin, in the epidermis. These pigments are then drawn to the surface where they flake off in about a week. Following a PhotoRejuvenation, the skin will feel tighter, look radiant and continue to improve for weeks after the treatment. At Professional Aesthetics and Wellness Center our highly trained professional staff uses Intense Pulsed Light PhotoRejuvenation to target pigmented areas of skin, as well as acne scars, in order to treat problems at their source. It can help you achieve dramatic results for a number of cosmetic problems such as age spots, uneven skin tone, broken capillaries, and rosacea. It’s also used on the arms, neck, décolleté, and hands. It is a no-downtime procedure, which helps improve overall texture and tone of your skin. For optimal results, a series of treatments is recommended to achieve a marked difference in skin texture and overall appearance.